No matter how many times I come to Athens, I am enthralled with the city–its beauty, vibrancy, and timelessness. Athens is the epitome of classicism and the locus of history. It pulsates with an energy that is thrilling and contagious. No one leaves without being changed. Ruins dot the neighborhoods and surprise you at every turn. The city is built upon layers of antiquity. Excavations for renovations or new buildings provide continuing sources of artifacts. When I asked a friend why the smaller pieces are not safely placed in museums, she commented that there are too many archaeological relics everywhere to preserve; thus, many are left exposed and unattended. 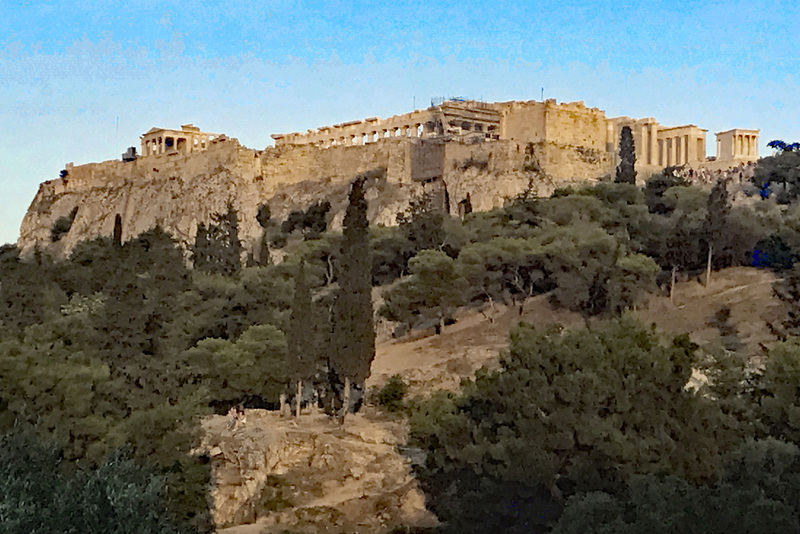 The Acropolis towers over Athens, a constant reminder of where you are and with whom you are mingling. Although Greeks can be divisive in their politics, they are united in their pride. Even the unschooled know their country’s history and innumerable contributions to democracy, literature, art and science. 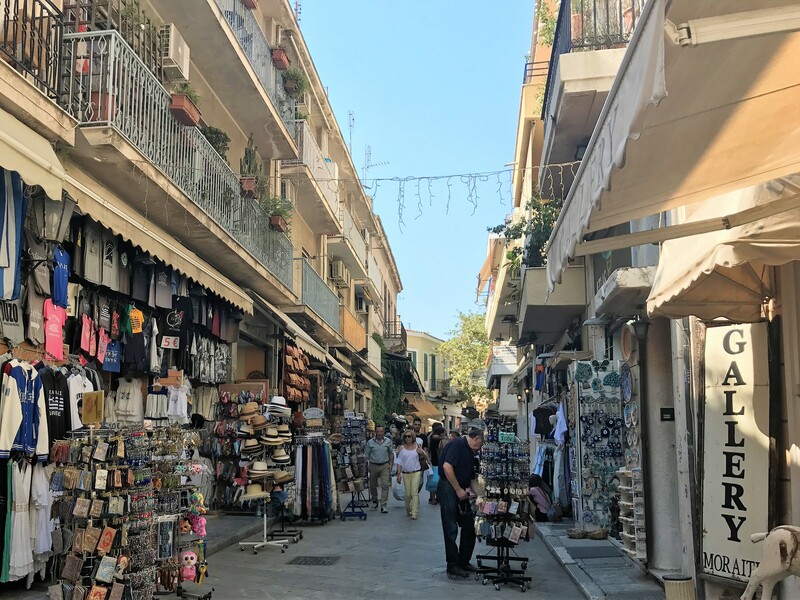 Nestled under the Acropolis, both the Plaka and Monastiraki Square are hubs of vendors, craftspeople, shops and cafes. There is a surprise at every turn of the winding streets. From dawn to midnight, natives and tourists mingle to barter over trinkets, food, works of art; and to eat and drink in innumerable venues. Knowing my love of history, my friend, Giannis, wanted me to experience the past from a different perspective. He took me to the War Museum of Athens, established in 1964 to honor those who fought for freedom from ancient times to post World War II. He promised that I would learn much about history; and, although “war is not my thing,” he was right. The past opened before me in manner unparalleled. Photos, paintings, statues and exhibits portrayed a country under continuous invasion and occupation, with everyday people struggling to maintain their lives and safeguard their families. I have never seen so many guns, rifles, swords, and other tools of destruction in one place! 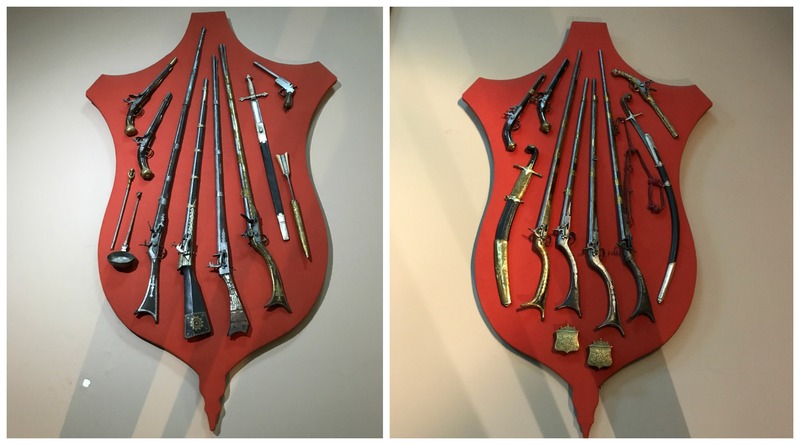 After I recovered from the shock of seeing thousands of weapons, I focused on the displays in each room. Many of us had ancestors who fought during the Revolution of 1821. Some received Aristeia awards which are earned by soldiers for exemplary actions in battle. Aristeia comes from the word άριστος (aristos) which is defined as “excellent.” In Greek warfare, an aristeia (αριστείο) is an award of great prestige and distinction. I was thrilled to see these medals on display. One family story that I am trying to verify is a link between my Papagiannakos and the Maltsiniotis families. In 1887, the Maltsiniotis brothers established an armaments company which was later merged into Pyrkal, one of the oldest defense companies in Greece. Imagine my shock when Giannis pointed out these displays that were clearly marked with the Maltsiniotis name! One photograph, thankfully unrelated to war, caught my feminist attention. 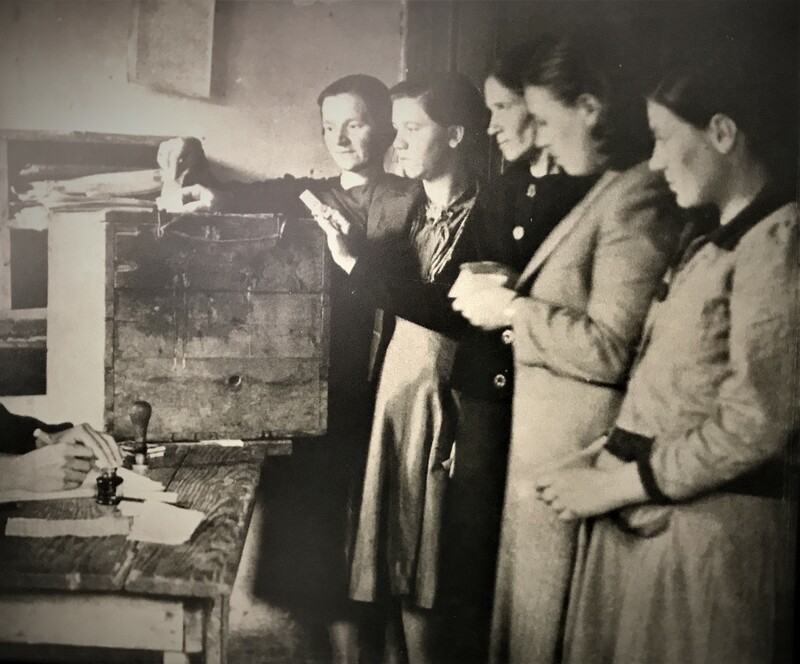 In 1952, shortly after the end of the Greek Civil War (1949), women gained the right to vote. This picture captured that historic moment, and I felt the triumph of the “silent majority” who were silent no longer. When men left to fight, women emerged as fierce protectors of the homeland. 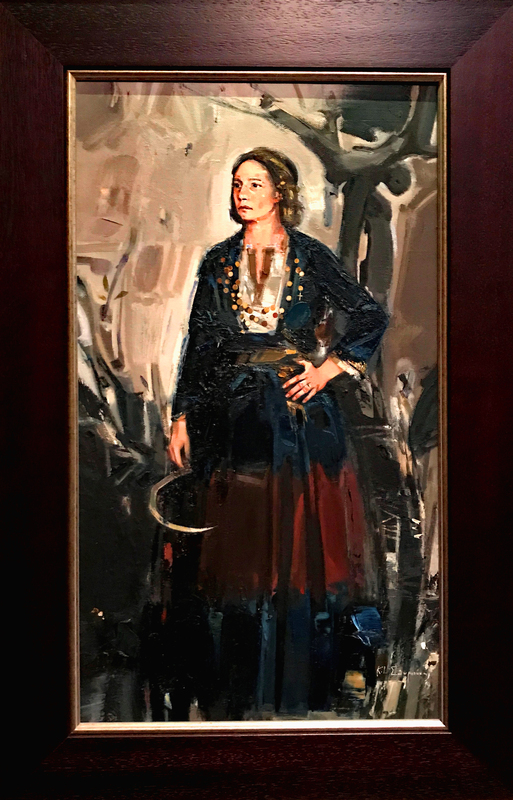 I am enthralled with the story behind the painting of this strong Maniate woman, holding a scythe in her right hand. During the 1821 Revolution, there was an invasion in Diro, Mani (in the southern Peloponnese). The men were gone, fighting in the battle of Verga, and the women and children were left to tend the fields. 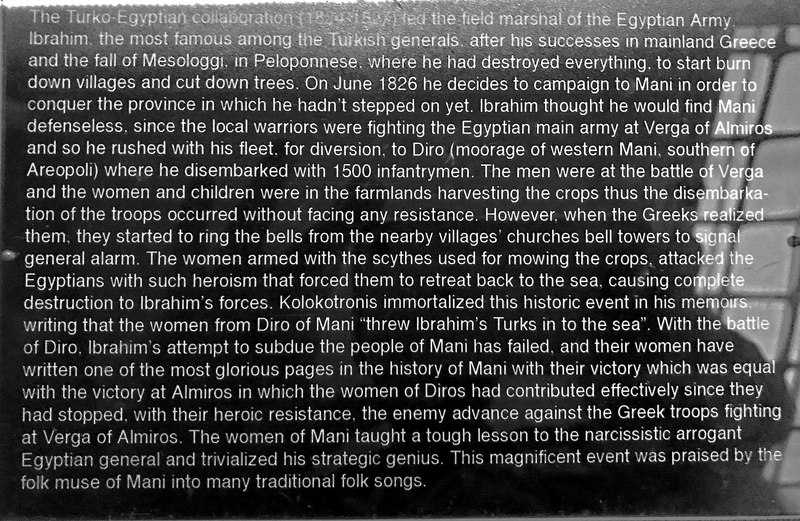 When 1,500 Ottoman soldiers attempted to conquer Diro, church bells rang to rally the citizens. Women ran from their fields with scythes in hands. They fought off the invaders and forced them to retreat back to the sea, thus stopping the armies of Ibrahim and preventing an invasion. I love how this woman’s eyes shine with fervor and determination. No one was going to take her land! This is the plaque further describing this amazing story of heroism. As I walked each room of the War Museum and studied the myriad of displays, I was reminded that this is but one small country which has been through countless wars and invasions. Hundreds of photographs and paintings depict faces haunted and places destroyed. How senseless war is! 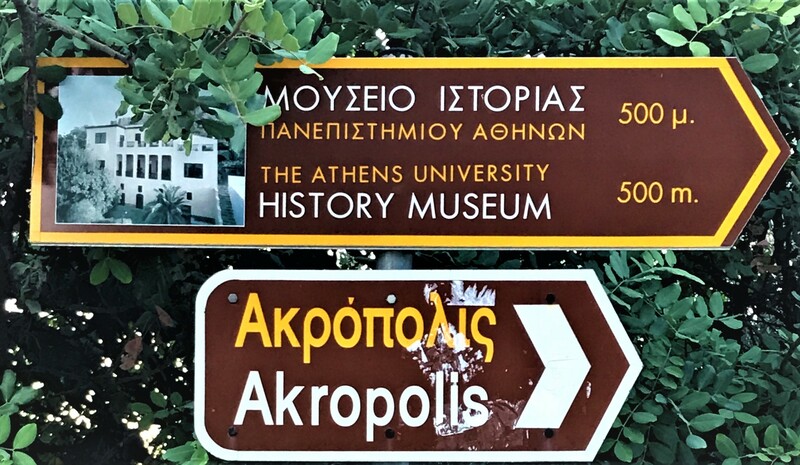 Every visit to Athens is a new lesson in history and culture. I am ever grateful to friends and family who ensure that I will leave with a renewed appreciation and understanding of my ancestral land. 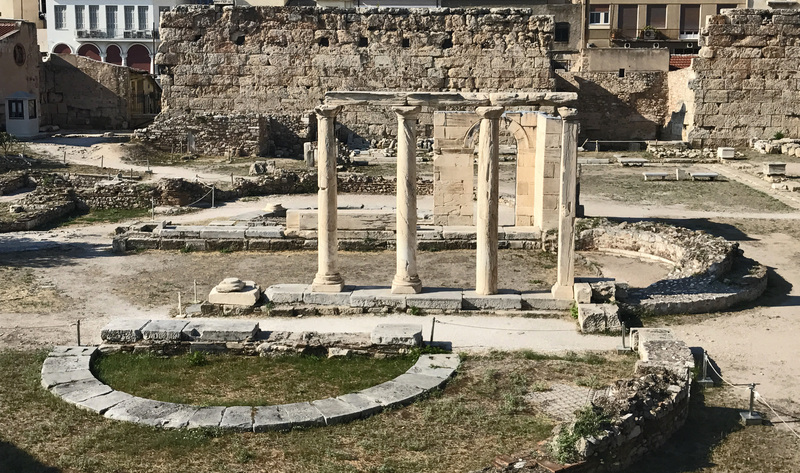 This entry was posted in Greece 2017, Mani, Remembrances, Trips and tagged Acropolis, Athens, War Museum by Spartan Roots. Bookmark the permalink.